Ginger Rogers. Jean Arthur. Maureen O'Hara. Ronald Reagan. I have read their life stories, and I have been dazzled by them all. Granted, these are figures of Hollywood and, with the exception of Reagan, none of them contributed anything to science or technology or even solid, meaningful history. Instead they entertained. I find that their recollections of time spent in Hollywood's golden age are extremely fun and romantic to read. But there is no real purpose to their stories. Each autobiography is different, of course, and filled with exciting anecdotes and famous people. In the end, though, it is the title character who remains as the sun to the universe of the book, and I learn very little about history or its making. Contrast that with the many memoirs I've read over the years by people like Rick Bragg and Fredrick Douglass and, most recently, Primo Levi. A memoir is a life story which is dedicated not to the man who lived it, but to the world that served as plot rather than backdrop to that story. In All Over But The Shoutin' , Bragg writes about his life as the poor white son of a single mother in the rural south during the civil rights crisis and beyond. He grew up to be a New York Times reporter who often wrote compelling articles about other people and their trials. But his own story is fascinating in its everyday brutality. It is a dedication to his mother, a woman who "picked cotton in other people's fields and ironed other people's clothes and cleaned the mess in other people's houses, so that her children didn't have to live on welfare alone, so that one of them could climb up her backbone and escape the poverty and hopelessness that ringed them, free and clean". Fredrick Douglass' essays can be found in a book called The Classic Slave Narratives . He suffered as a slave, to be sure. But there is nothing typical about his relating of events. The point of his writing is the writing. 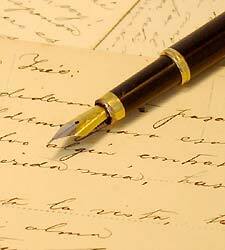 It is a song in praise of literacy and the innate freedom it gives. Douglass was able to communicate, to rally, to ask for help, to give advice, to organize, to give voices to the many, many slaves who were deprived of the language. If you give a man the words, there is nothing in this world that can stop him from achieving. No story proves that better than Douglass'. This quarter I am taking a class that studies the genre of memoir. Already I am fascinated. To begin we have been assigned three holocaust memoirs by people in very different situations. 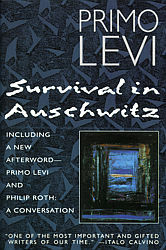 Having completed Primo Levi's Survival in Auschwitz , I am almost speechless. BAM! Truth. The truth is not that the Holocaust was terrible; it IS terrible. No amount of time will quell the ache of our world lacking countless millions of men and women. Levi survived. Technically he lived long past his release from the prison, and he wrote long and hard about his time there. But for his time in the death camp he was kicked into depravity, forced into the worst behaviors and humiliations of men. And yet his story is not a whining tale. He does not preach. In simply beautiful language and painfully honest metphors Levi paints a picture of the world of Auschwitz, the hell of Auschwitz. He is in the picture, front and center, prone on the ground and naked. The guards are not demons; they are humans lacking humanity or compassion. And time is standing still. Because for Levi the nightmare never ended, and he took his own life years later because he could not dredge out the shrapnel of these memories embedded in his heart. It is Levi's use of language in his memoir that strikes a sharp chord within me. His bare-bones style leaves nothing to the reader's imagination, but that is his point, because in the end we are still horrified by what we see, and more horrified by the reality of it all. Even his metaphors, likening the sun to a betrayer or the prisoners marching to a 'dance of dead men', are perfect. In a book that describes and relates everything that was worst about the world, I find beauty in Levi's storytelling. The beauty shocks me. When, after his first winter, he and his comrades see and feel the sun for the first time, he explains that even the simple pleasure of warmth leads him to 'understand how men can worship the sun'. I love that. Levi admits that he loses faith, but there is always a solid quest to regain it. The sun is not Levi's sworn enemy; it could be God. In the faces and stories of the few good, strong men he meets while in the camp, the author sees what form survival really takes. These men are generous even when they have had everything stripped from them. Levi tears himself down throughout the story, allowing that he is weak and selfish. But I doubt these descriptions would have even been relevant had he not seen first-hand the survival of the human spirit in some of his fellow inmates. Early on he realizes that he no longer cares to keep himself clean, and he is reprimanded by an older gentleman whom he has great respect for. That man teaches Levi that even in Auschwitz one can survive. In order to succeed, though, 'one must want to survive, to tell the story, to bear witness'. The men in the camp must force themselves 'to save at least the skeleton, the scaffolding, the form of civilization'. I am greatly moved by that conviction and, though I am sure that Levi lost it from time to time over those harsh months, he certainly fulfills his purpose in the end. He bears severe witness in his memoir. And, as I have always believed that memoirs are autobiographies written with deep purpose, I have to say that Survival in Auschwitz is a defining work for the entire genre of memoir.